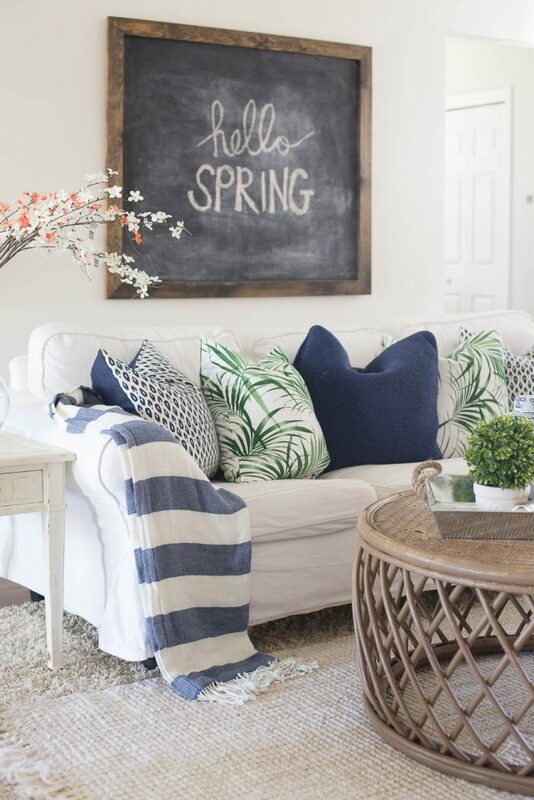 Spring is finally here and there really isn’t any better way to celebrate than decorating your home. 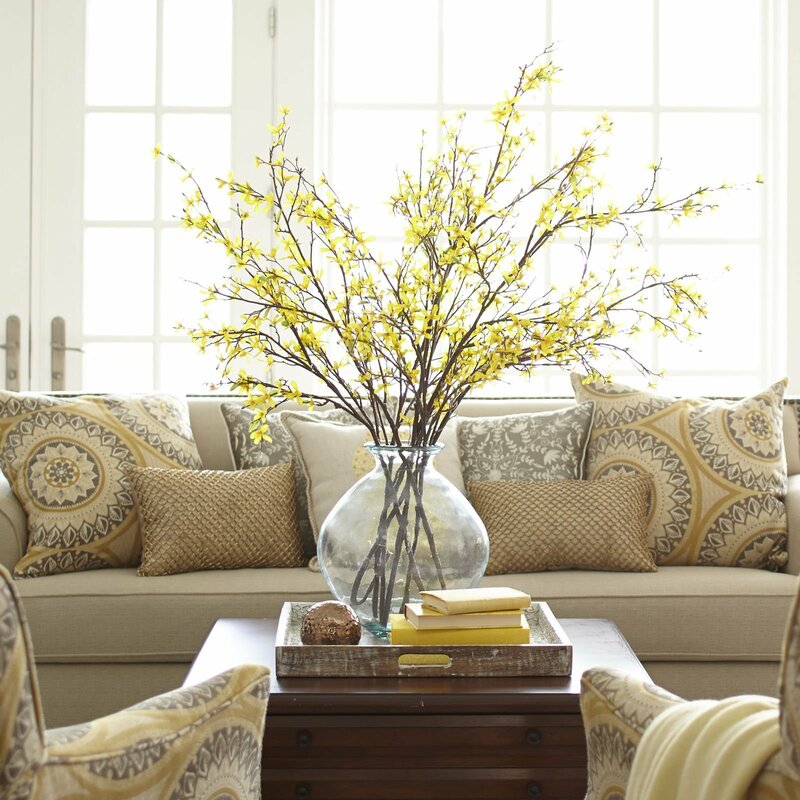 Here are 10 beautiful ways to bring spring into your living room. 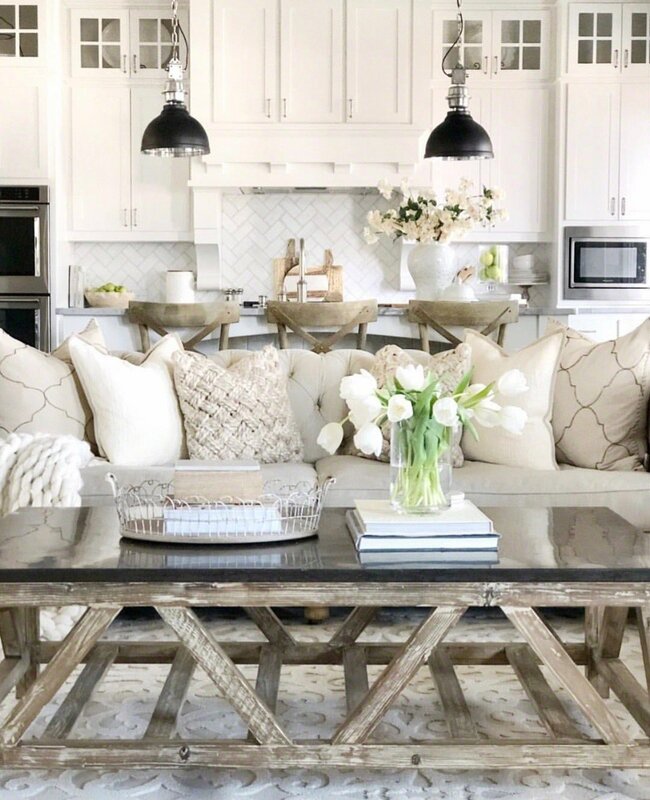 When it comes to decorating for spring you definitely want to use light bright colours such as white, green or even pink. Open up your windows and let in as much light as possible. That’ll contribute to a bright airy feel that you can see in many of these photos. Chalkboards can add a very unique look to your living room. Plus they have the added bonus of being able to draw whatever kind of art you can imagine on them. Erase your winter designs and messages and freshen things up with a brand new spring sign. The light couch with this selection of pillows, especially the ones with the leaf designs definitely helps the spring feeling. The flowers on the left are a very nice touch as well. Head down to a local craft store and pick up some faux flowers and branches. Stick them in a glass bottle or vase for an easy spring update. The overall yellow colour scheme seen here is perfect for spring as well. On it’s own this is a fairly simple living room arrangement with bright colours. The pink and black pillows fit in excellently with that white couch. 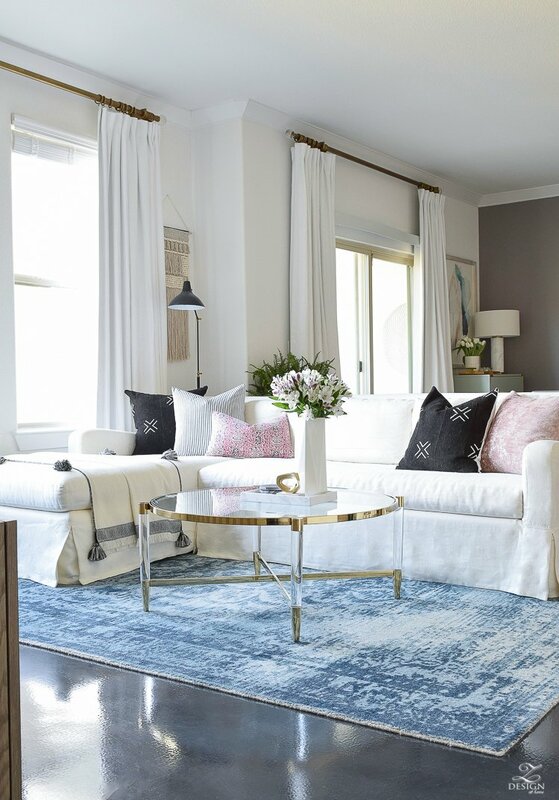 What makes this room really pop however is that bright sky blue rug. The big windows with all that light pairs perfectly with it for a marvellous airy feel. Open the curtains as much as possible and let in as much light as possible. Over all there isn’t that much spring-ey about the couch pillows but all that light combined with the light mint walls gives a perfect spring feel. The little plants and touches of green are always a really nice touch as well. The big vintage mirror here makes a perfect accent along with the natural wood, plants and light colours. If you already have a nice bright room consider using colours like blue, yellow or green as accents. Pillows, plants and even paintings can all be used like you see here. These colours work incredibly well together and give off a chic spring feel. 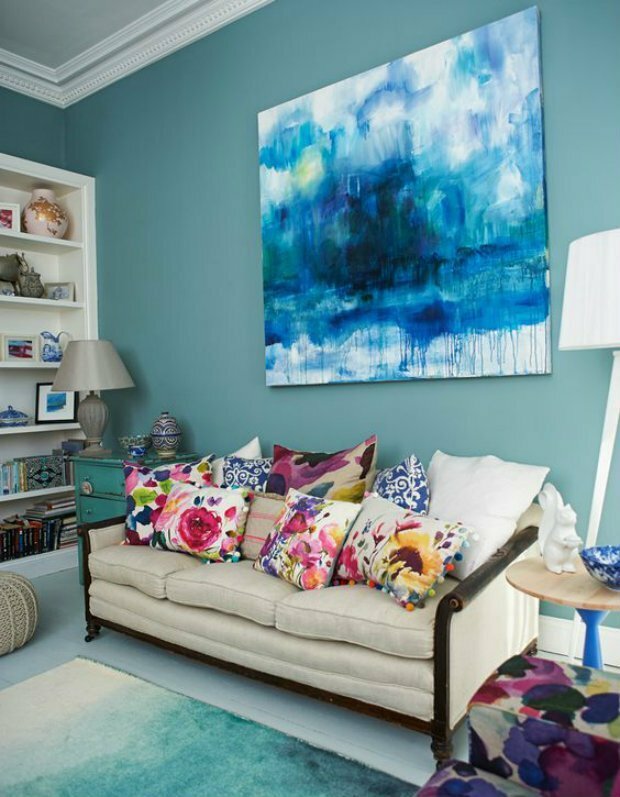 Use bright flowery patterns on items like throw pillows, rugs and artwork. 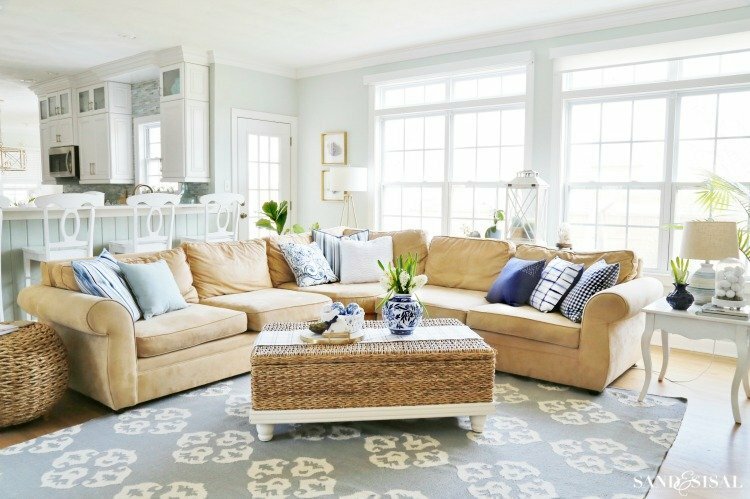 This is a super easy way to take an existing room and freshen it up for spring. We have to mention that the artwork up there looks amazing as well. 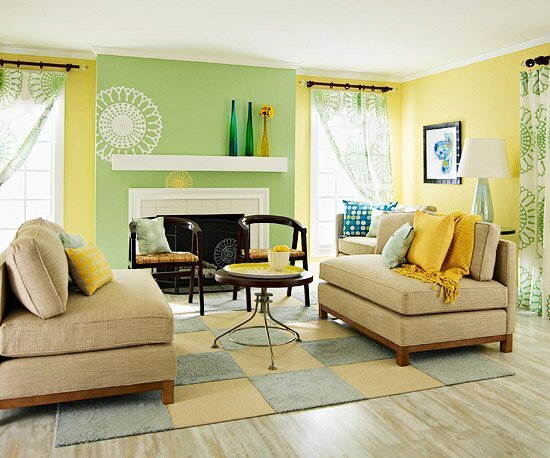 This living room could work in any season but what really makes it ready for spring is the green and yellow paint. After the painting is done add some finishing touches like the yellow and green pillows, curtains and the flowers painted on the wall by the fireplace that match the curtains is certainly a unique touch. 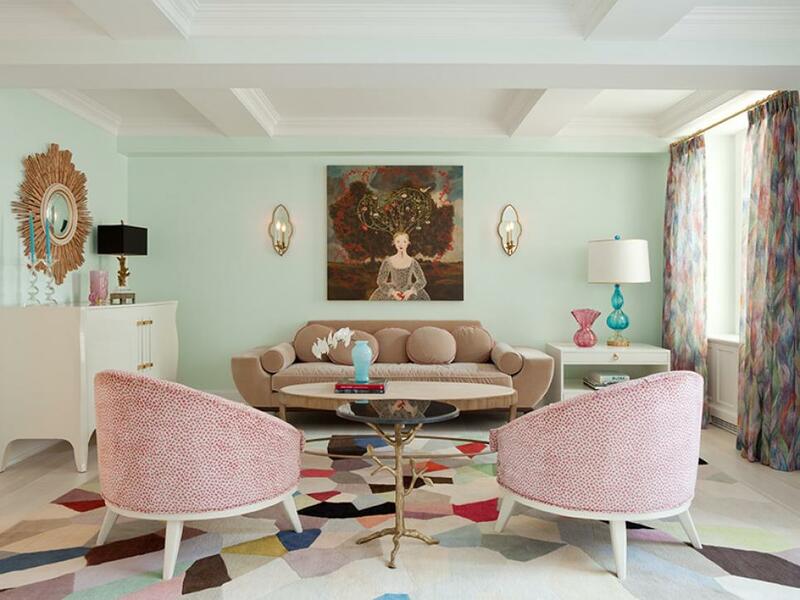 Pastel colours are prefect for spring, especially ones like pink, green or blue like you can see here. 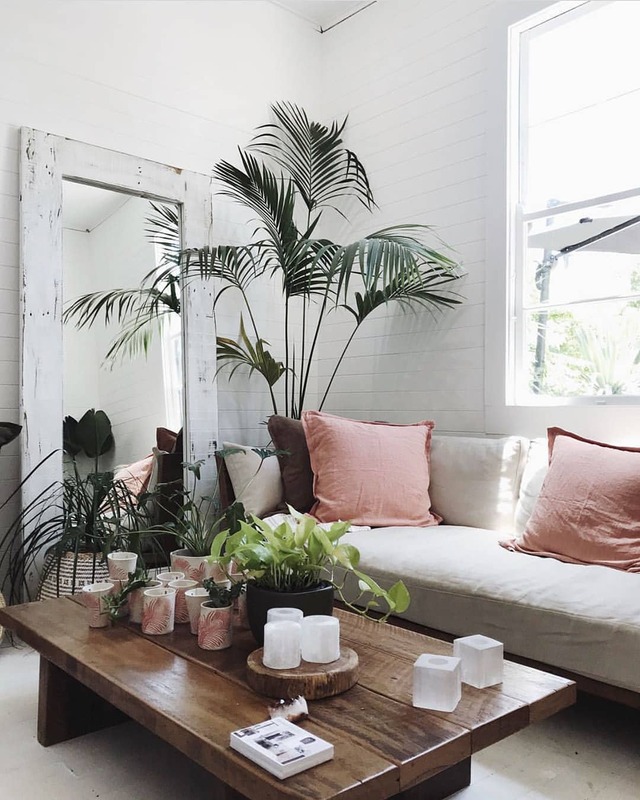 The natural wood coffee table as well as those stools you can see in the back make a perfect natural spring look, especially when paired with plants or flowers like you can see here. The bright natural colours here go incredibly well with the wood as well. What design ideas are you excited to try out this spring? Let us know in the comments!